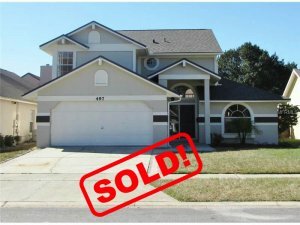 We Buy Houses Lake Mary - Sell Your House Fast! We buy houses in Lake Mary and around Florida from homeowner’s like you that need to sell their house fast. Let us make a fair all-cash offer on your house. Not Only WILL We Buy Your House In Lake Mary, You Will Get A Realistic and Fair Cash Offer Fast! Hi, I’m Christian. I’ve helped hundreds of homeowners like you sell their home easy and fast. Check us out! 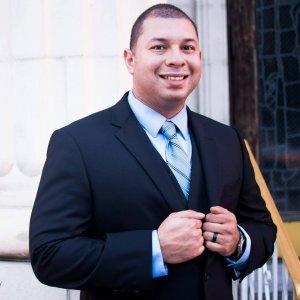 Hi, Im Christian with M&L Investment Group here in Lake Mary, FL. We buy houses in Lake Mary! Are you in need to sell your house fast in Lake Mary and the surrounding areas… I want to make you a fair all-cash offer fast. We are currently very actively buying houses in Lake Mary and we are extremely interested in buying your house no matter what condition it’s in or the location. And I’ll GUARANTEE that offer to you and can have a check in your hand in as little as 10 days. We have helped over 300 homeowners in the Lake Mary area to sell their home. Homeowner’s love how easy the Lake Mary Home Selling process went when working with us. If you are needing to sell your property in Lake Mary fast then let us take a look at it and find out how much we will pay for it cash. We buy houses in Lake Mary, in any condition… as-is… let us take over the burden of that unwanted property. There are lots of situations where we can help, including… avoiding foreclosure, divorce, relocating, inherited or properties in probate or just a vacant house you don’t want. 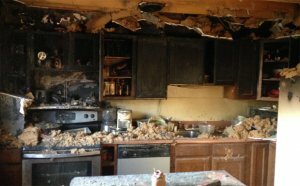 We have helped homeowoners that own a vacant house, are upside down in their mortgage, behind on payments, owe liens, downsized and can’t sell the house, it needs repairs you can’t pay for, has fire damaged, bad rental tenants, and more. It doesn’t matter whether you live in it, you’re renting it out, it’s vacant, or not even habitable. Diana A, 2828 S Shine Ave.
3 days after submitting the form, we bought this house cash in Orlando, FL! Get your offer today! The best benefit of selling to us is that you’ll know for a fact that your house will be sold at the price that we both agree on. We offer you peace of mind knowing that we’ll buy your house for a price that works for you and in a time frame of your choosing. So if you’ve been thinking “I need to sell my house fast in Orlando for cash” then get in touch with us today to learn about our home buying process! We buy houses in Orlando and we are actively looking for more houses to buy cash. It doesn’t matter what condition your house is in; the situation you are in or the timeframe that you are looking for. We’ve taken pride in building our reputation throughout Central Florida of being one of the few investment companies that is a true honest friend to homeowners in need to sell their home fast. To us here at M&L Investment Group we realize that the transaction needs to be a win-win deal. We make it as attractive as possible for you to sell your house fast for cash. That’s why we buy with cash, give fair offers, and we take pride in our honesty. What has set us apart from the other investors is that we are not desperate for a deal. This shows that we are not pushy and we never give lowball offers. We simply give you the highest possible offer for the condition of the house to make the deal attractive and create the win win transaction. We buy houses in Lake Mary and surrounding areas and pay a fair cash price, fast.